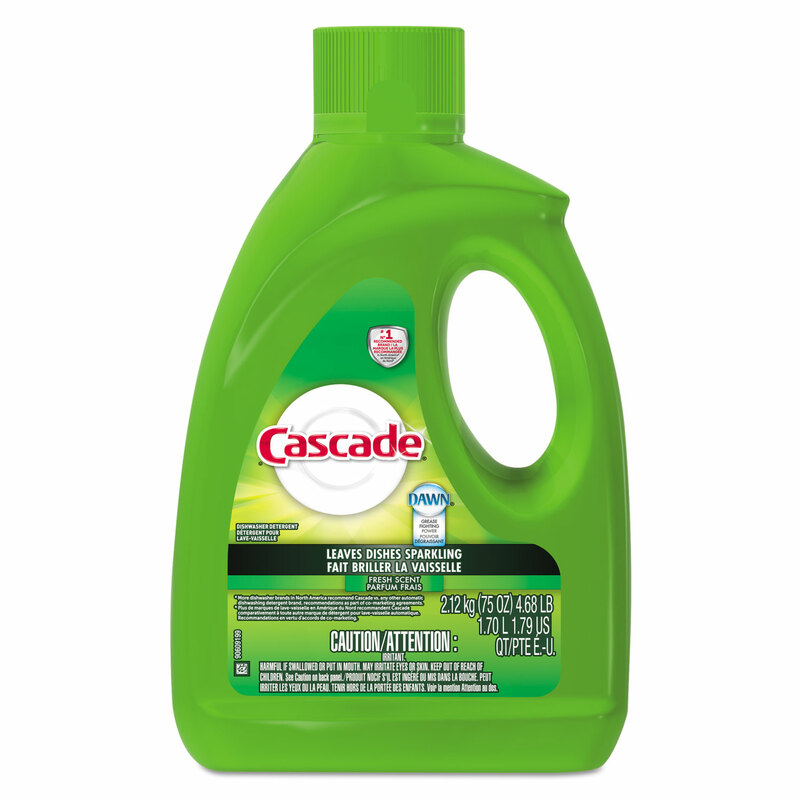 Cascade Gel Dishwasher Detergent - Regular Scent - 75 oz. Combine the outstanding cleaning of Cascade dishwasher detergent with the grease-fighting power of Dawn for clean dishes that are automatically clean every time. Cascade dishwasher gel cleans so thoroughly virtually nothing is left behind but pure clean, pure shine.